IDC Research Vice President Karl Whitelock shares his perspective on what operators need to do to successfully monetize 5G. 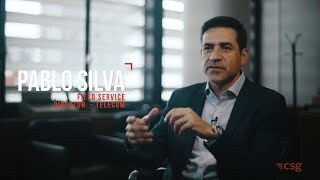 Telecom Argentina executives talk about how CSG's Field Service Management solution helped them improve customer experience through automation. Telecom Argentina knew that customer experience was the key to differentiation. They turned to CSG's Field Service Management solution to help them fulfill their promises to customers.